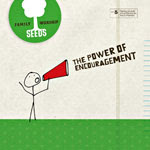 My friend over at The Adventures of Miss Mommy is sponsoring a give away of five SEEDS Family Worship CD's to five winners. If you haven't heard these CD's yet, I encourage you to check them out. They are Scripture verses put to music, written to involve the whole family in memorizing Scripture. To enter this contest, visit Miss Mommy's site and follow the instructions. And please mention that you heard about this contest on my site. This contest is open to U.S. and U.K. residents. Thanks, sweet friend!! You're awesome!